They say 3rd times a charm and with this crab stuffed sole recipe that's certainly the case. Because sole is such a delicate fish I found normal grilling when it's stuffed with crab was too difficult and it had a tendancy to fall apart on the BBQ. 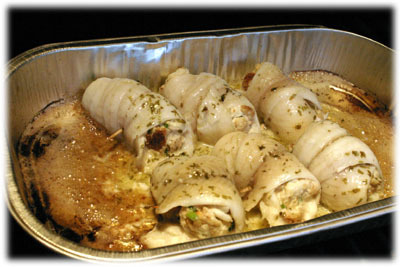 After the 3rd time I decided to use an aluminum pan to hold the sole bundles - they stay together nicely, the stuffed crab filling doesn't fall out and you can easily drizzle a melted tarragon butter sauce over the sole as it cooks without flare-ups. 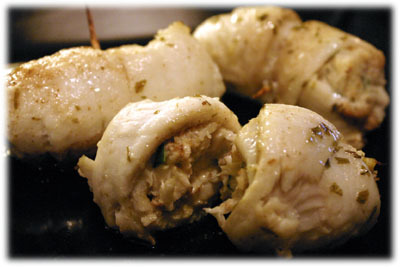 The stuffed crab blend also evolved and by the 3rd try had just the right amount of rich tangy flavor to complement the fish. Using regular canned chunk crab meat in the stuffing saves time preparing this grilled fish recipe and makes it perfect for a weeknight dinner. At 600F the sole stuffed with crab is ready to eat in about 8 minutes. 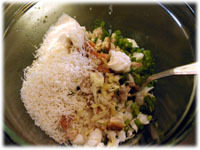 Mix all of the crab stuffing ingredients in a medium sized bowl. Stir well to combine, it shouldn't be overly "wet" but also not so dry that it falls apart when stuffed in the sole fillets. 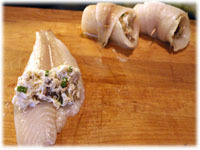 Lay a sole fillet on your working surface and place a couple tablespoons of crab stuffing at the widest end of the fillet. 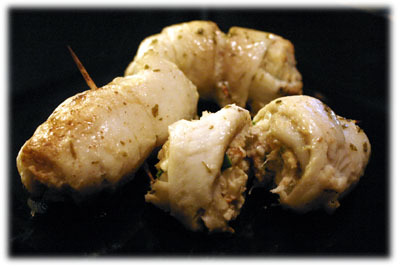 Roll up each crab stuffed fillet starting at the widest end and working towards the narrower end, keeping the stuffing inside as you roll. Secure each stuffed fillet with a toothpick and gently using your thumb make sure the stuffing is secure in the center of the fillet. Place the sole bundles in an aluminum pan just large enough to hold them. Melt 1/4 cup of butter and stir in 1 teaspoon of dried tarragon leaves. 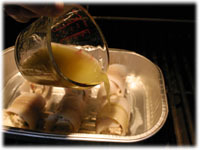 Pour this mixture over the stuffed sole. 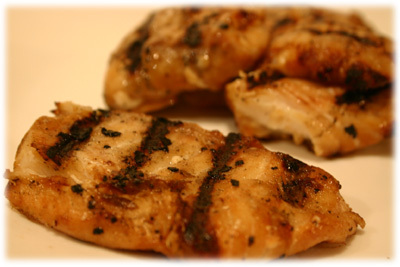 When it's reached this temperature place the aluminum pan on the grill and close the grill lid. 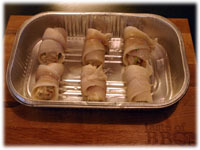 After 4 - 5 minutes very carefully flip or roll each stuffed bundle over in the butter and close the lid. 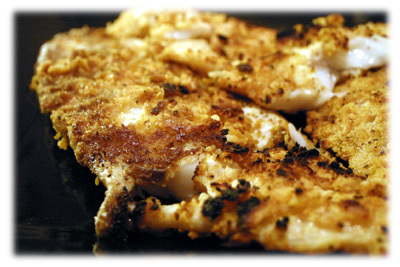 Continue cooking another 4 - 5 minutes until the fish flakes easily with a fork. 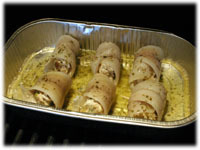 Carefully remove the sole fillets from the aluminum pan to a serving platter or plates and serve immediately.